The Thompson Shuswap region is located in south-central British Columbia Canada. A popular travel destination, well known for its thousands of lakes, rolling desert hills, alpine valleys, looming mountains, wetlands, estuaries, ranchlands and protected rivers. The Adams River, in the Roderick Haig Brown Provincial Park, is home to the world's largest sockeye salmon run. The Thompson River starts near the British Columbia and Alberta border and measures 489+ kilometres. The lakes in the region line up one after the other. Some of the main lakes in the region for adventure include the Shuswap, Lac Le Jeune, Nicola and Tunkwa Lakes. Shuswap Lake enjoys the largest houseboat fleet in Canada. The main tourism communities in the Thompson-Shuswap region include Kamloops, Merritt, Salmon Arm, Sicamous, Cache Creek, Ashcroft, Logan Lake and Sorrento. The Thompson Shuswap in the province of B.C. 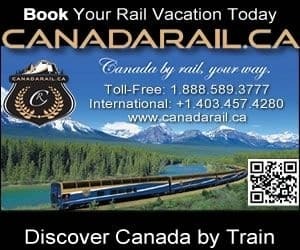 is recognized as a top adventure destination in Canada for activities like horseback riding, houseboating, canoeing, fishing, mountain biking, off-roading, cycling, sailing, hiking, camping, birding, water skiing, golfing, river rafting, snowmobiling, xc skiing and ice fishing... plus attractions like museums, historic sites, festivals and events. Some of the top sightseeing destinations include Hat Creek Ranch (Cache Creek); Walk of Stars (Merritt); McArthur Island (Kamloops); Roderick Haig-Brown Provincial Park (Chase) and the Herald Provincial Park (Salmon Arm). Some of the top activity and adventure destinations include Marble Canyon Provincial Park (Cache Creek-Lillooet); Tunkwa Lake & Leighton Lake (Logan Lake); Lac Le Jeune Provincial Park, Sun Peaks Mountain & Paul Lake (Kamloops); Nicola Lake (Merritt); Niskonlith Provincial Park (Chase); Shuswap Lake Provincial Park & Silver Beach Provincial Park (Sorrento) and Shuswap Lake itself (Blind Bay | Chase | Salmon Arm | Sicamous | Sorrento).